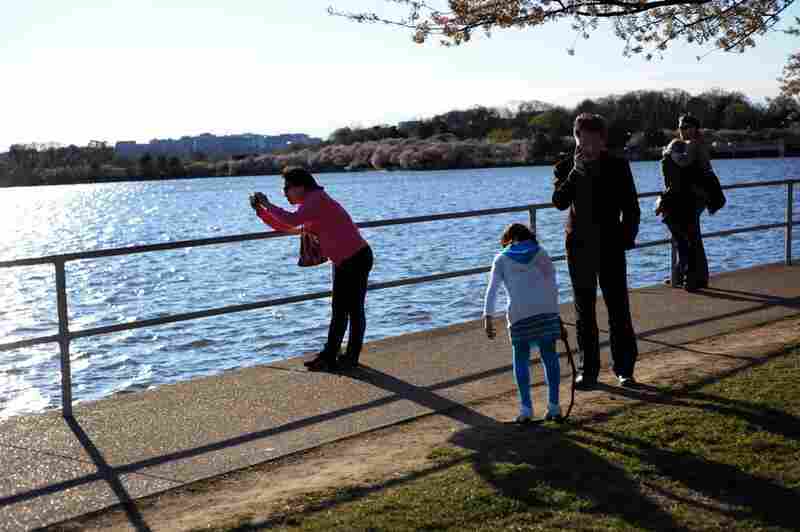 Pictures Of People Taking Pictures Of Cherry Blossoms : The Picture Show The National Cherry Blossom Festival turns Washington, D.C., into the camera capital of the nation. 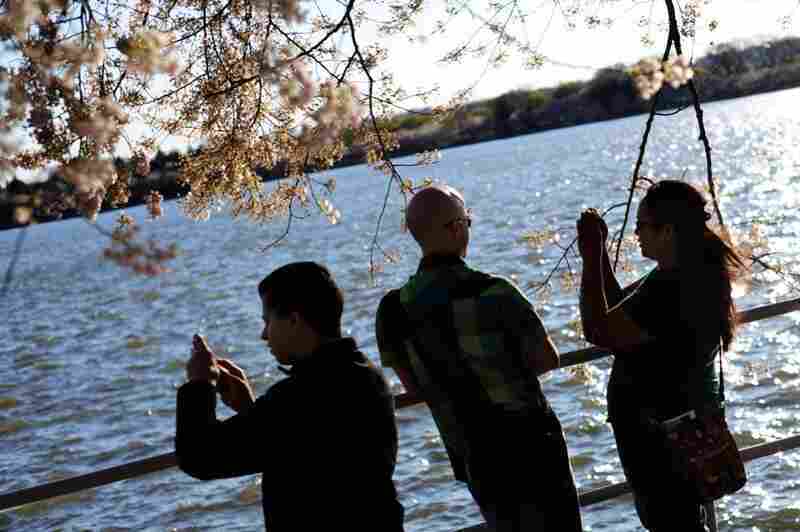 The National Cherry Blossom Festival wraps up this Sunday, so on Wednesday afternoon I made the short trek from NPR headquarters in Washington, D.C., to the Tidal Basin. I'm going to go out on a limb (ha!) 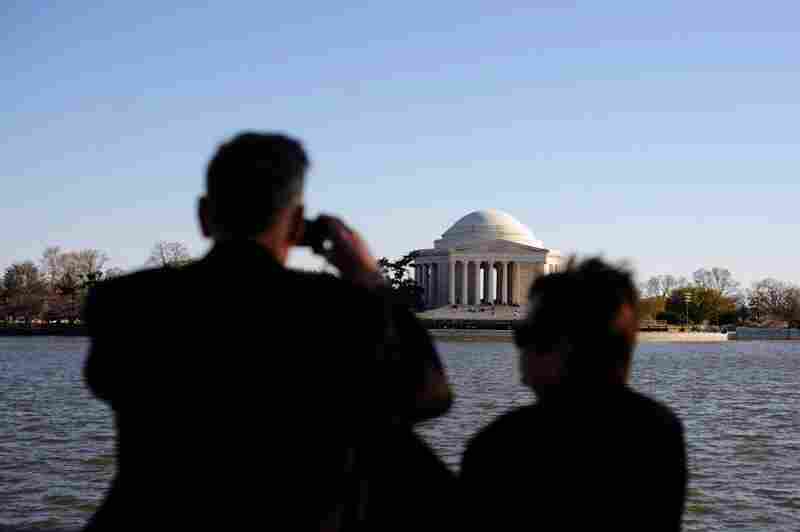 and wager that this location, during this time of year, has the highest density of cameras in all the lands. 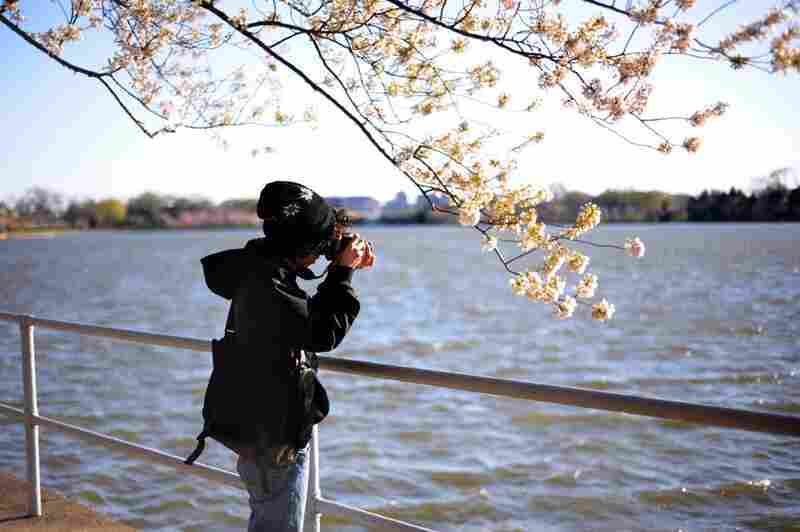 There we were — myself included — snapping away like nature's paparazzi. Except I didn't take a single picture of the darn flowers themselves. 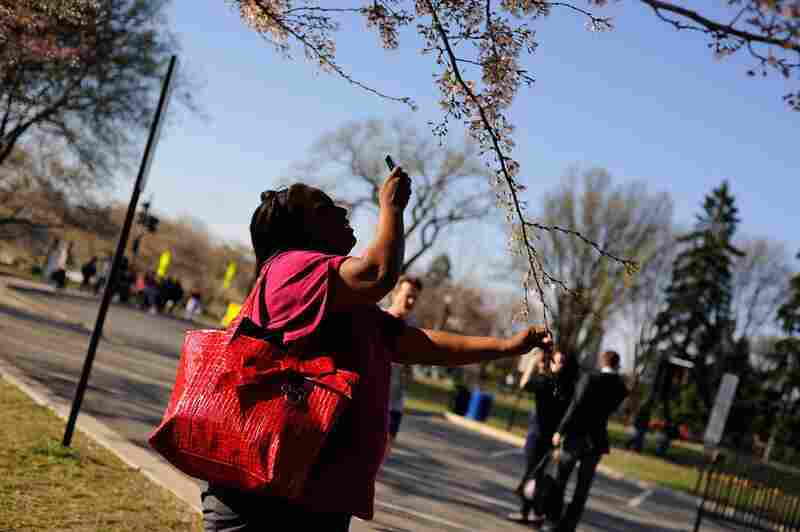 Were you at the Cherry Blossom Festival this year? Did you take photos? Post them to our Flickr pool so other folks can actually see what they look like! 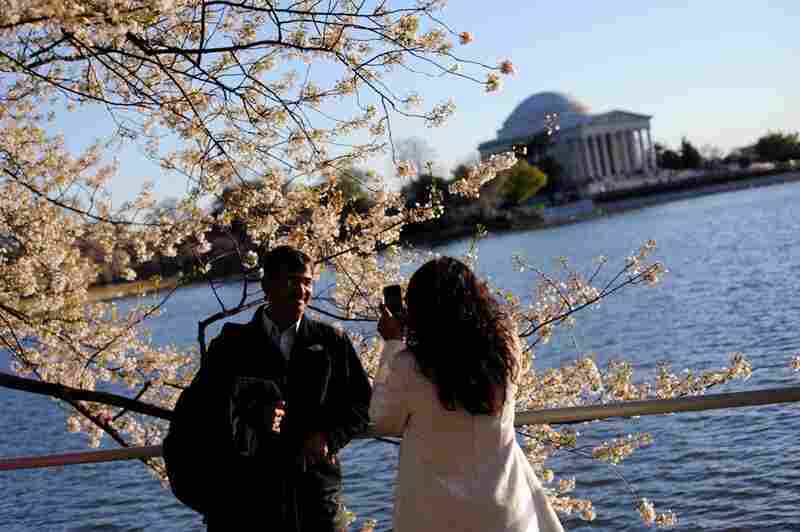 For only a few weeks each spring, the nation's capital blushes white and pink with flowering cherry blossom trees. 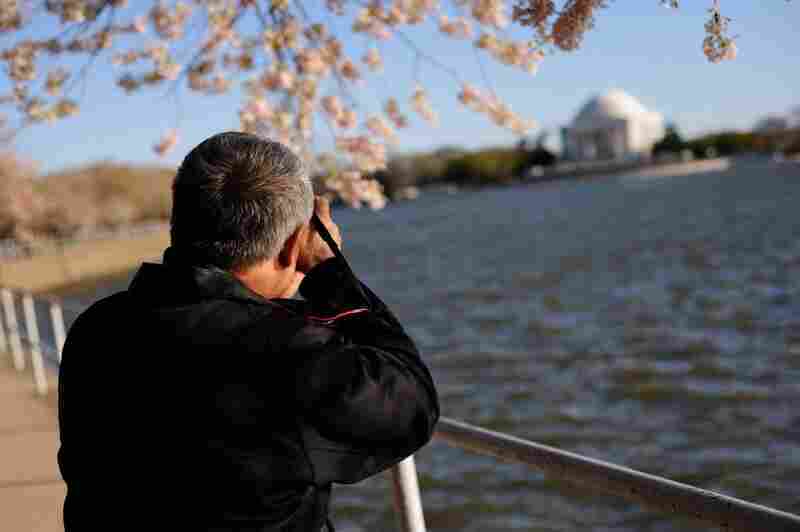 From sunrise to sundown, NPR video producer John Poole gathered footage of this transient, vernal beauty.